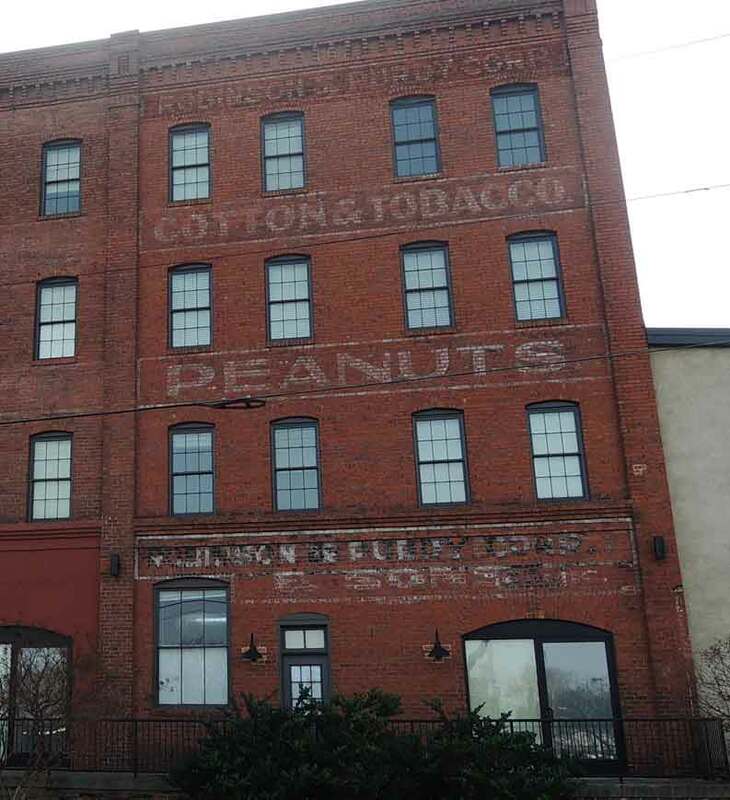 Robinson & Purdy Corp. were commission merchants dealing in cotton, tobacco, and peanuts, and the business was located at 250-254 East Bank St., Petersburg, approximately 1915 through 1927. The partners were James C. Robinson (1858-?) and William James Purdy (1866-1928). James C. Robinson appeared as a commission merchant in Chataigne's Petersburg Directory of 1882-83. He was the principal partner at Robinson, McCandish & Co (James C. Robinson, Robert McCandish Jr, and Benjamin D. Tillar), commission merchants, 40 North Sycamore St.
William J. Purdy appeared as a clerk at the firm of Jones & Bagley in the Hill Petersburg directory, 1888. Jones & Bagley (Freeman W. Jones and Edward Garland Bagley), were proprietors of the Centre Tobacco Warehouse located at the corner of Washington and Union Streets. After 1916 James C. Robinson was no longer listed as a member of Robinson & Purdy. It is possible he died around this time. In 1917 William J. Purdy was president of the company, with George R. Chambliss, secretary-treasurer. Purdy remained president until the business closed (approx. 1927). Purdy was also an officer at United Transfer Co., located at 300 East Bank St. United Transfer left a sign reading United Warehousing & Forwarding Co. at 300 East Bank St. Purdy died 28 July 1928 at Eastern State Hospital, Williamsburg, Virginia, and is buried in Blandford Cemetery, Petersburg. In the Hill Petersburg city directory for 1929 252 East Bank St. was listed as "Virginia Storage & Commission Co Inc, W B Beach pres, P H Booth v-pres, C H Goodam (Richmond, Va) sec, D M Booth treas, com merchants."